Essential oils are everywhere now. You can order them online, grab them at the health food store, and even some grocery stores. When you are done with the precious oils inside, what do you do with the bottles? Do you throw them away, never to see them again? 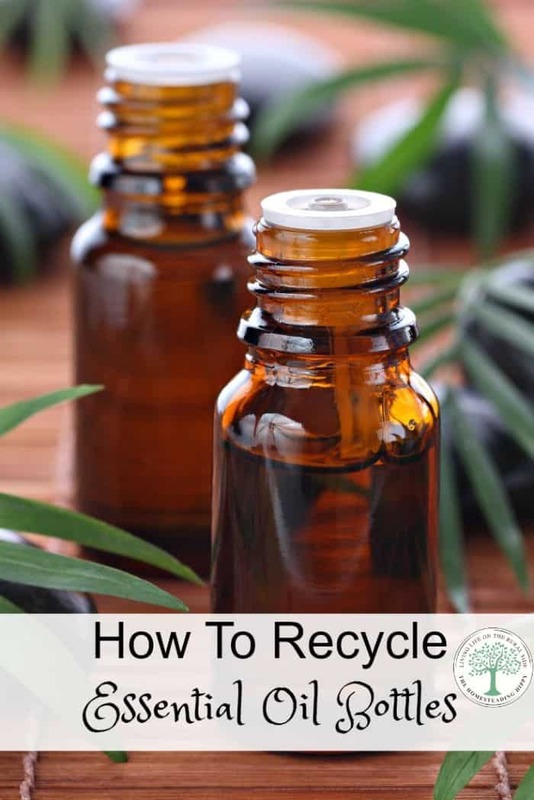 Have you wondered how you can recycle essential oil bottles? Recycled essential oil bottles are great for personal blends, or for sharing a bit of your oils with a friend. They are really easy to clean out and store again for later use. 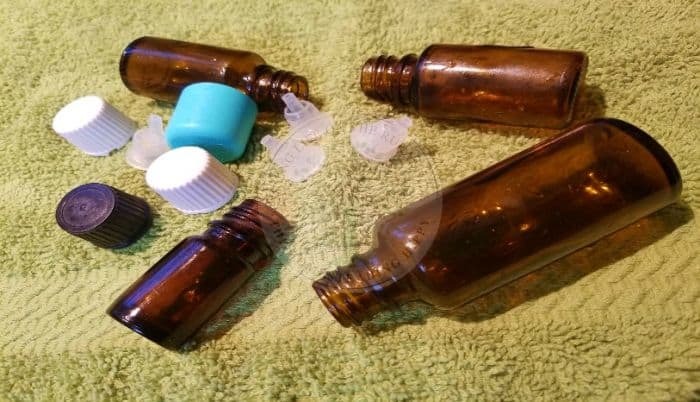 Get a easy DIY Thieves oil recipe here to use in your recycled bottles. To clean out your essential oil bottles, first you need to use all the oil in the bottle. 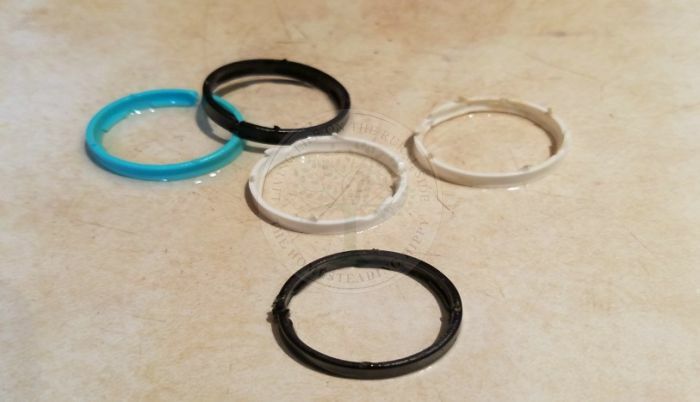 When you have drained that last precious drop of oil, remove the plastic reducer. This may take the edge of a spoon to do, but it pops off just like a canning lid from a jar. I add a 1/4 teaspoon of salt to the bottom of the bottle to clean out any remaining residue. You can always add this to a bath soak later if you save the salt. After the oil has been removed, place the reducer and the cap in a bowl of warm, soapy, vinegar water. This will help clean out any residue left over. Soak for 15 minutes, rinse well, and lay on a clean towel to dry. Remove as much of the label from the bottle that you can. Remove the band from the bottle by carefully snipping it off with a pair of sharp scissors and toss in the garbage. This will help you keep track of what bottles are clean and ready to re-use. You can check with your local recycling department to see if they are recyclable, but sadly in our area, they are NOT. 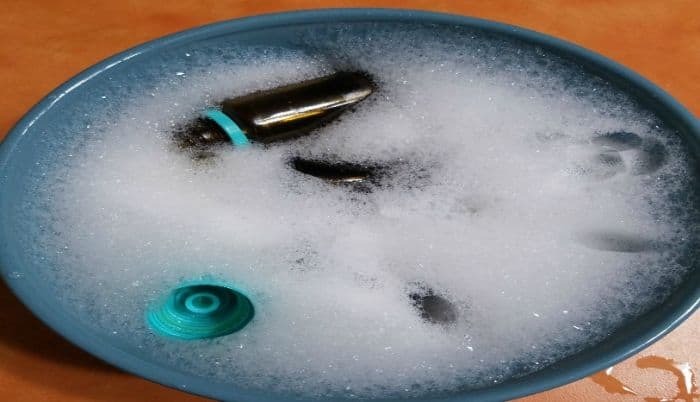 Next, wash the bottles out with warm, soapy, vinegar water. The vinegar helps to remove the stubborn oils from the bottle. You can let them soak in the water for 10-15 minutes as well. Just shake a bit and rinse well. 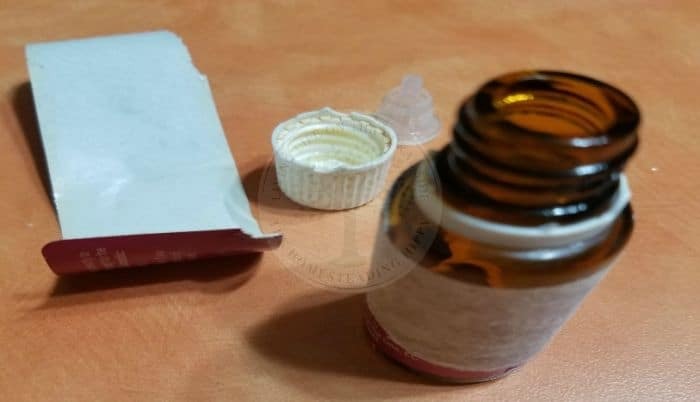 If you have a label that won’t budge, or the sticky of the label won’t come off, rub a bit of lemon essential oil on the bottle and wipe with a tissue to remove it. Allow the bottles to dry for at least 2-3 hours to ensure all the water has dissipated. You don’t want water to possibly mix with your oil blends, as that may introduce mold and shorten the shelf life of the oils. Once the bottles, reducers, and caps are all dry, store for later use! I like to use them to make custom oil blends. You can add oils to your bottles by using this little funnel found here. Label, date, and enjoy! What do you do with your old essential oil bottles? Do you re-use them? Be sure to pin this for later!